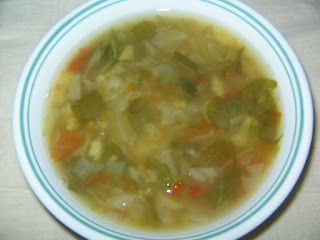 One meal soup ,here it is made with vegetables n daal,it gives the body its requirement of vitamins and proteins. Any one can prepare it occasionally in the evenings and skip the dinner,and the taste is fine and good ..
taken by 2 tbsp of each variety. Place a pressure cooker on the stove,pour water and let it boil. 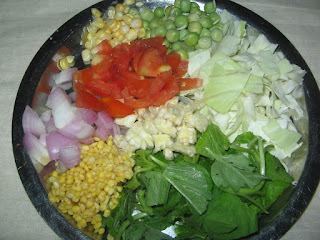 palak,thotakura,,tomatoes and pressure cook them for 5 to 6 whistles. After cooling open the pressure cooker and mash the vegetables,now add vegetable stock and pepper powder and salt.Let it boil. If thickness is required add 1 tbsp of corn flour to 1/2 cup of water mix well,and add spoon by spoon slowly to the boiling soup.After boiling for 5 min switch off and serve.Now u can add vinegar 1 tsp or lime juice. 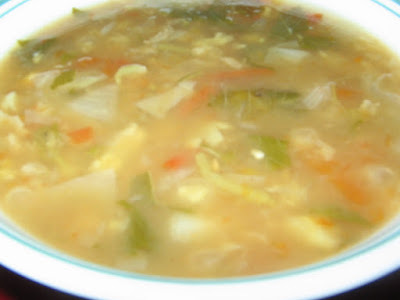 It includes dal and vegetables so healthy,add vegetables according to the availability of them in your home..And some people prefer the density of the soup to be more thick ,so remove half of the vegetables and make a paste by grinding them,then mix the paste in the soup before boiling.. The rest can be boiled along with the soup..One meal soup.,doesnt it sound like a one man show. 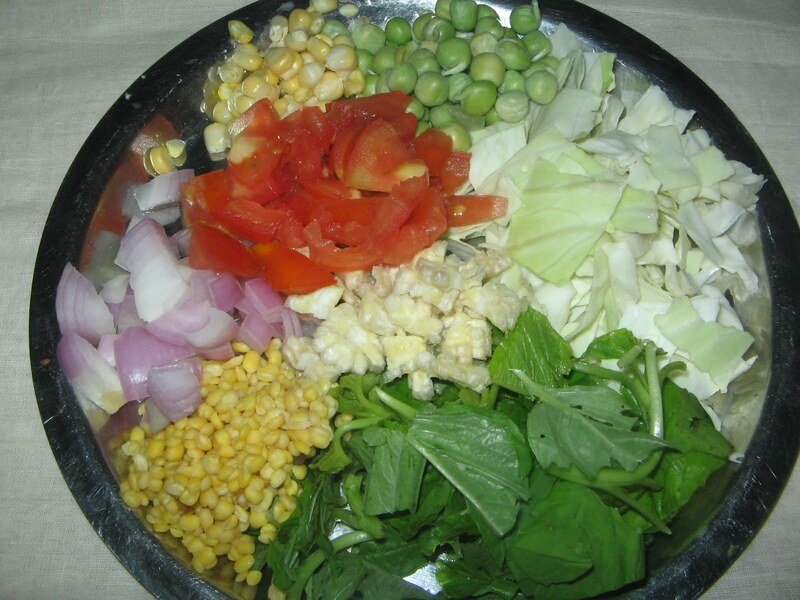 Place a pan on the stove add cabbage,cauliflower,tomatoes peas etc.any veg except bhendi and bitter gourd.After boiling add salt and boil for additional 5 min.Switch off.After cooling strain the vegetables boiled water and store in fridge.The water remains for 2 to 3 days ,thats all.This is referred as veg stock. One pot wonder ..looks fantastic!! delicious refreshing and healthy soup. A wholesome and delicious Soup! Looks great!